 Free caller screen changer with call screen themes, LED Flash and call theme! 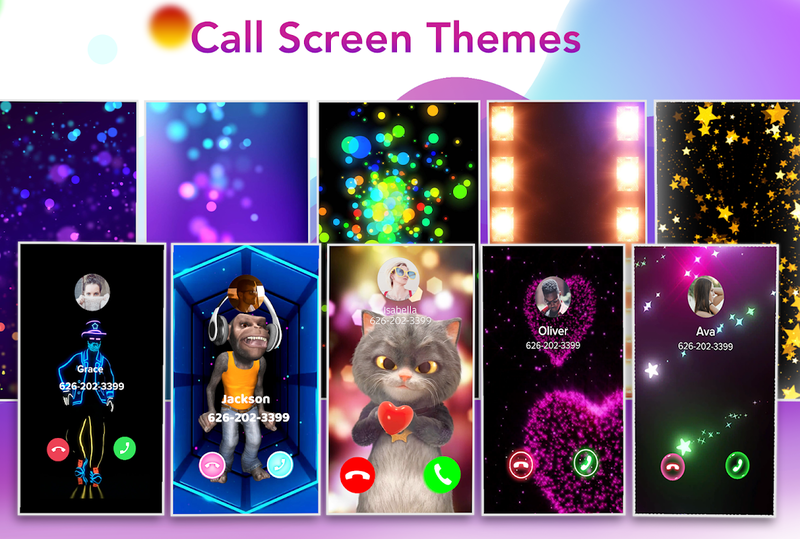 Color Call - Call Screen, LED Flash, the newest call screen changer with my love call themes in 2019, customizes caller screen display with call screen themes, LED flash alert. Get the call theme changer, since the call screen themes, color caller screen themes, LED flashlight alert for call screen are free! Download the caller screen display with my love color phone theme and enjoy the free caller screen themes app - Color Call - Call Screen, LED Flash with caller screen style now! 👑👑 - Call theme app makes caller screen style unique. The call theme changer with caller screen style effects, call screen slide, call themes for android is pretty cool. - the call screen changer has Led flashlight alert, that provides unique caller screen style (color phone theme) with LED remind, LED alert, LED lights. Have the most special call themes for android, using call screen changer. - Caller screen display decorates the caller screen (call screen slide) with call screen themes, using the call theme changer. - Call theme changer with call flash for android through changing caller screen themes and caller screen display (call screen slide). - Battery saving call theme app (call screen changer) with call themes for android. The call theme app (call screen changer) has a unique caller screen display (call screen slide), which changes caller screen theme with caller alert. 😊😊 - Fun caller screen display (call screen slide) with call themes for android, LED light for call. - Visible caller screen style with led flash notification and call themes on Call Screen - Call screen changer reminds calls with LED flashlight alert & caller screen display - Each caller screen themes is unique with caller screen themes - Never miss calls led alert and color call screen theme ✔️ Color Call is a call theme changer, which reminds the calls with caller screen flash, LED flash alert. 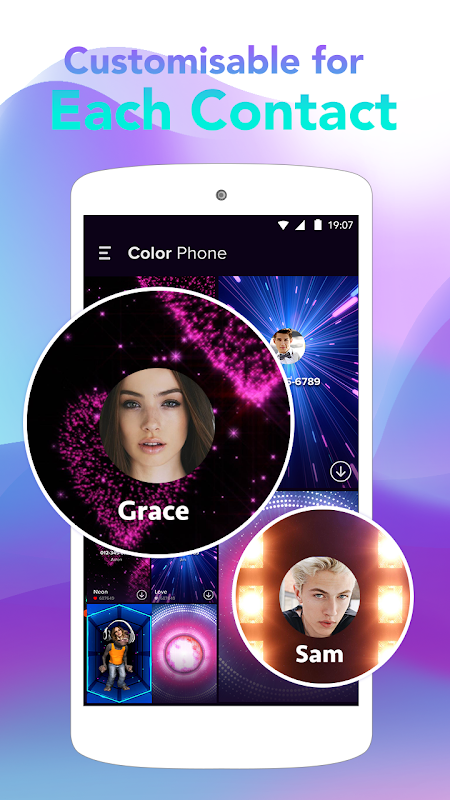 Color Call, top caller phone app, supports call screen led flash notification, call screen theme for android, flash color caller screen style and caller screen themes! Caller screen flash customizes the caller screen display by changing caller screen themes with LED flash alert. Using call screen changer to set up caller screen themes&led flashlight alert. Enjoy the call theme app (call screen changer) with call themes for android free, led flash alert now! ✔️ Turn on LED flash alert. The LED flash and LED alert will remind you the calls. Using the call theme app to set LED flashlight will never miss any call. The LED flash and caller screen themes are different, using the call theme app to change the call themes for android and led alert. LED flash alert, LED flash and LED flashlight alert make caller funnier. The LED flash is different between caller screen themes if change call screen theme. If your phone in the silent mode, LED flash alert and caller screen themes will remind calls, using the call themes for android. Color Call is the call screen theme app & call theme changer with LED flash alert. Color call, best call theme changer, changes the caller screen style with LED flash alert, call screen theme. The call theme changer can change caller screen themes to make caller screen display dynamic. The LED reminder shows any call with LED flash light and LED flash alert.  Website: Color Call - Caller Screen, LED Call Flash | Super App Lab.  Is Color Call - Caller Screen, LED Call Flash yours? Claim it!